Following on from the previous post of The Bowling Green Inn, here's a photo taken a little higher up Eanam. The shops look derelict in this 1963 photo, but I believe the premises on the extreme left of the photo were used by Thwaites as some kind of canteen for its workers. In the background is the Thwaites tower under construction. 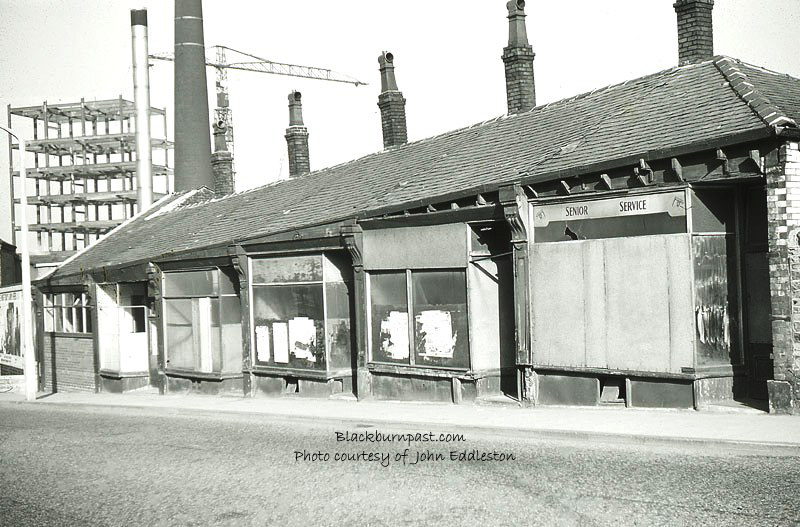 Maybe when the tower and the rest of the 'new' Thwaites complex was built, they got another canteen and stopped using the little buildings pictured. I'm only surmising here, so if you know better, I'll be happy to amend. Photo courtesy of John Eddleston.